With their premium, full grain leather construction and ballistic nylon upper, these GTX Race Boots combine unrivalled durability with complete protection. 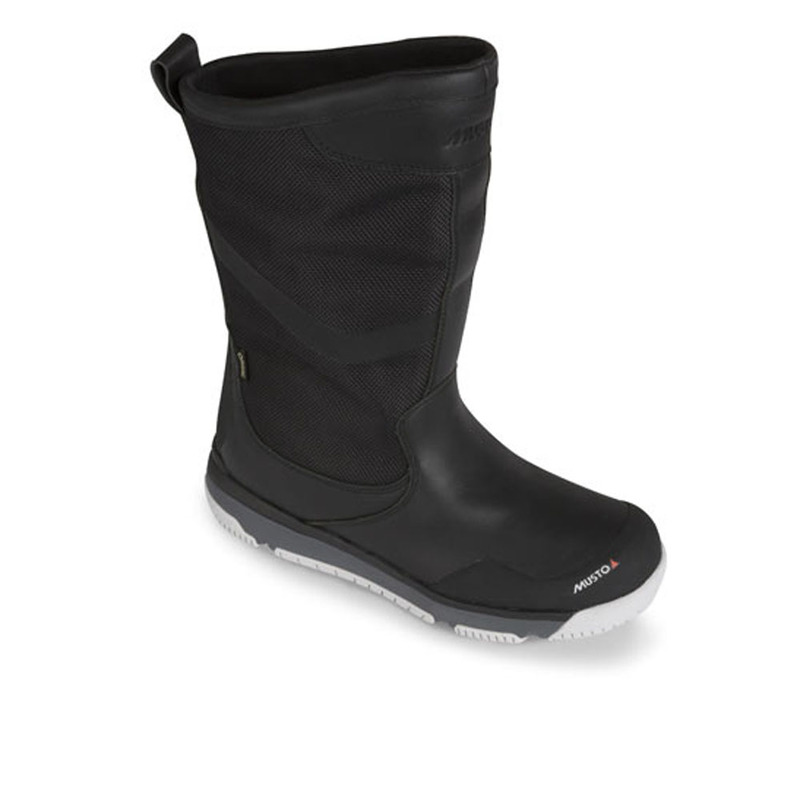 Engineered for performance, these boots feature the toughest GORE-TEX® footwear membrane on the market for complete waterproof protection, combined with a high level of breathability. Our lightweight, shock-absorbing midsole combine GripDeck rubber with a GripFlex tread for exceptional, multi-directional traction on deck. To safeguard your shoes from damage, the toe box is wrapped with scratch rubber while a moulded comfort footbed supports your feet. Please note all our sizes are UK size, use our Size Guide to find the size that corresponds to yours. Apply special footwear cleaner if necessary to remove stubborn dirt. We recommend using a boot tree whilst storing your boots to help maintain their original shape. Musto’s proprietary GripDeck technology supplies enhanced grip in wet conditions and when hiking.